What is it like to grow up in one of the nation's most violent cities? 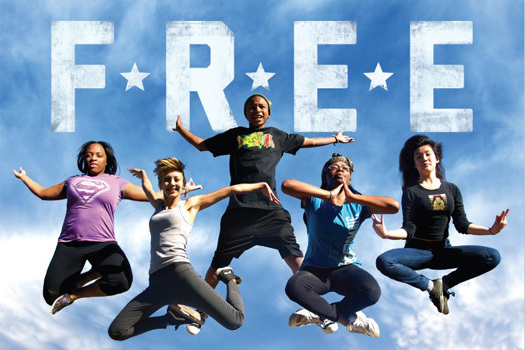 Capturing the raw beauty and powerful grace of a dance company for at-risk youth, F R E E journeys behind the curtain to spotlight the intimate stories of five teenagers in Oakland, California. This uplifting feature-length documentary showcases art's ability to transform violence, poverty and isolation. Their journey in the Destiny Arts Youth Performance Company reveals how collaborative art can be a foundation for personal discovery. Follow them through a year of becoming F R E E.
David Collier is an award winning documentary filmmaker, and the principal and founder of Studio B Films. He received an Academy Award nomination in 1993 for his feature length documentary For Better or for Worse. Studio B Films is a video production company in Berkeley, specializing in commercial work and documentary-based storytelling. Suzanne LaFetra is a freelance writer, journalist and filmmaker. She is the executive producer of the documentary, She Wants to be a Matador. She has long believed in the power of film as a medium for social change. Being the mom/stepmom to four adolescents has made her particularly keen on the youth development work portrayed in F R E E. This is her directorial debut.